Having spent the past six weeks on his therapist’s couch, Jonny has been on a quest for personal growth. As it turns out, this venture into personal growth is directly tied to becoming a better podcaster. Jerod Morris: This is Rainmaker FM, the digital marketing podcast network. It’s built on the Rainmaker Platform, which empowers you to build your own digital marketing and sales platform. Start your free, 14-day trial at RainmakerPlatform.com. Welcome to The Showrunner, where we have one goal: teach you how to develop, launch, and run a remarkable show. Ready? Welcome back to The Showrunner, the podcast for people dedicated to creating remarkable audio experiences for their audience. This is episode number 88. I am your host, Jerod Morris, VP of Marketing for Rainmaker Digital. I will be joined momentarily, as I usually am, by my ready-to-bear-his-soul co-host, Jonny Nastor, the host of Hack the Entrepreneur. Hey, we have a brand new sponsor. The Showrunner is brought to you by the all-new StudioPress Sites, a turnkey solution that combines the ease of an all-in-one website builder with the flexible power of WordPress. It’s perfect for bloggers, podcasters, and affiliate marketers, as well as those selling physical products, digital downloads, and membership programs. If you’re ready to take your WordPress site to the next level, see for yourself why over 200,000 website owners trust StudioPress. Go to Rainmaker.FM/StudioPress right now. That’s Rainmaker.FM/StudioPress. Jonny, I missed you last week. I think it was a good episode. I thoroughly enjoyed the conversation with Krys Boyd, but there’s always something missing when you’re not here, man. Jonny Nastor: Yeah. Is this backtracking from that Tweet earlier in the week? Jerod Morris: No. That gotten taken out of context. I only had 140 characters. I didn’t even realize that until I reread it. I was like, “Oh, man.” I didn’t want to give away who the guest was. I know. The perils of Tweeting and things getting taken out of context. Jonny Nastor: It was pretty good. I know. Jerod Morris: No, man. We always miss you when you’re not here. Jonny Nastor: I know. I missed being here. Yeah, it was good. It’s good to have interviews sometimes. It’d be cool to hear people’s — people being you out there listening — perspective on interviews as a solo host. Just Jerod or just myself. Or when we do interviews — we’ve done a couple interviews as a team, together interviewing someone. I feel like we’re overpowering someone if it’s two-on-one, but I’m not the listener. It’d be cool to hear your perspective on that. The reason why we went like that was because I figured the one-on-one is cool. Jonny Nastor: Mostly that extension of what you were talking about at the beginning was me trying to avoid getting into the main topic. Jerod Morris: Oh, no. We’re jumping into this one. I’m excited about this one. We’ve got on our notes here — I see that you have said that, “2017 is a year of growth for me, personally and professionally,” which is great. We always want every year to be one of growth. How, in particular, has this new year started out to be one of growth for you? Jonny Nastor: Last year wasn’t actually a year of growth for me. Obviously I grew and did things, but it wasn’t a sole focus. As I’ve said numerous times, I belong to a mastermind group. There’s three of us. We’ve now met in four different continents around the world. We talk daily via chat groups, but then we talk weekly on the phone for an hour and a half, helping and pushing each other to grow. Jerod Morris: Put a book out, grew your show. There was some growth. Jonny Nastor: Yeah, exactly. That’s what I mean. People have told me, “Dude, you pulled off the pedal a bit, but for most people you did a ton.” I was like, “Yeah. That’s cool. That’s totally awesome.” It’s not me compared to anybody else. But this year … I guess when I put “year of growth” for personal, I’m focusing on myself and making myself better, more open. I don’t know what that necessarily means in growing. Anyway, I started seeing a therapist. I’m a huge Woody Allen fan, favorite director/writer of all time. Watched all of his movies. He’s always seeing a therapist. I’ve always been fascinated by it. Now that I’m in a big, cool city that has lots of therapists — once I started looking. But also, one of the guys from my mastermind group started seeing one in November down in Austin. He’s talking to me about it and I’m like, “Man, that sounds amazing.” He’s like, “It’s like a coach for your brain. That’s it. You just go there and dump stuff, and they just pick it apart for you and send it back to you. It’s amazing.” So I’ve started going. The time you get allotted to you during the week to record your next episode is maybe not the perfect time, mentally or physically, that you want to be doing it, but you have to do it. And you have to do it — as we’re going to see — as a performance to provide the best experience for your listener at that time, no matter how you personally feel about getting to do it at that time. Jerod Morris: I’m excited about this, because we have hinted at this topic before, this idea of hosting a podcast or even being a guest on a podcast as a performance. I’m really curious to find out some of this clarity that you’ve gotten on this topic. So let’s hop in. Let’s discuss it. Jonny Nastor: As an introvert myself, podcasting and putting myself out there — it’s draining, mentally and physically. It absolutely is sometimes. Lots of times, like I said, when you have that time ready to record … Like I’ve got to record on Thursday at 2:00 pm to 3:00 pm the intros and hacks for next week. I don’t always feel like it. But, thinking of it as performance — I think this is where I struggled with it, because you and I, Jerod, we always talk about authenticity. To me, it was hard to connect authenticity with performance. Jerod Morris: As soon as I saw this topic and what you had written in the notes and our little pre-show discussion, that was the first question I was planning. How is this going to play — this idea of having a character, a performance, how does that play with authenticity? Where at the surface level you think, “I just need to be myself,” you would think performing or having a character that you step into for a show — you might think that would inhibit your ability to be authentic. But I think you’re going to tell us that that’s actually not the case. Jonny Nastor: Well, I’m going to help you explore it with me. It was this idea — like Prince or somebody we would go see perform live because of that authentic connection to them and their audience that they make. Yet, it’s 100 percent performance, although the performance and the character created by him, at the time, was extremely congruent with who he was. But also, he treated it always as performance. Prince never got seen outside wearing jogging pants and a dirty t-shirt. Like Lady Gaga. I’ve heard Lady Gaga say this in interviews, where she believes that she is creating this pop star persona. She said, “Like Michael Jackson, like Prince, if something happened to me and I was in a horrible car accident and I was in the hospital, nobody would be able to see me. When I finally came out to go to my limo to go home I would be in full costume, because that’s how the world has to see me because I am a pop star.” Yet, people are connected to her because she is absolutely authentic in that. Although, obviously, she wasn’t always flamboyant like this. It’s this idea of figuring out who your character is authentically, but then also strategically, and then allowing yourself or pushing yourself to enter into the shoes of that character each time you go to sit down at the microphone. This is what allows me to — if you’re not feeling the energy that day or not feeling in the right mindset to do it, but you only have an hour that week allowed to your show because of everything around you going on, you have to be on. When I step in here and sit down with my coffee to record, I can now think of it as this character, Jonny the host of Showrunner or Hack the Entrepreneur, and it’s still me. Jerod Morris: That would be a great nickname, by the way. Let me try to take this and put it into a showrunning, podcasting context. I’ll use my show, The Assembly Call, as an example, because I think there’s an element of this here. You know me, right? I think our listeners know me. I tend to be a pretty positive, pretty optimistic person. Always trying to see the bright side, for the most part. Generally pretty enthusiastic when I get here behind the microphone. So when we launched The Assembly Call … That’s how I am as a sports fan, right? I try and give the guys the benefit of the doubt. I try and be positive even when things are going bad. I try and find the element that we can take to be positive about things. As we structured the show and as I structured how I was going to be as a host, I strategically and intentionally decided I want to be the positive guy. Even when we lose, I’m going to start every show with something positive. Whenever we predict whether Indiana’s going to win or not, I don’t care if we’re underdogs by 40 points, I’m predicting us to win and I’m going to find some reason why. Even though people laugh and think it’s ridiculous, this is my character. Did I always think Indiana was going to win every single one of those games? No. If I had to bet $1,000, there are probably some times I would have picked them to lose. But genuinely, in my heart, I always want to find the reason for them to win. So it was an authentic “performance,” and it also fit with how we wanted to position ourselves in the market as not a show — like a lot of other sports fans shows — that dwells in the negatives and plays upon that. This is how we wanted to position ourselves. It was authentically how I am. Every time we come on a post-game show it helps me. Because, again, we don’t have much time to prepare for that show. So I can sit in this chair, step into that character, and I know exactly how I’m going to be. It works because it’s genuinely how I am. Is that kind of what you’re talking about? That that’s we’re going for here? Jonny Nastor: Yeah. This character — to hit the authenticity of it, it’s you. It has to be you in that certain way. The example could be Oprah. Oprah created a persona and a character that was her and was the host of the Oprah Show. She wouldn’t be like that at all aspects of her life, yet it was 100 percent her. It’s almost like it’s 110 percent you, if that makes sense. It’s an element of you, and then picking out the right aspects that you know a character needs to resonate with an audience, if that makes sense. There are certain ways to shape a character, and if you know those ways, you can pick each aspect that works for you authentically and then elevate those during your showrunning experience or what you’re trying to do. Jerod Morris: Do you look at this as something that always needs to be decided upon before you start a show? Or this as something that you can come into? Jonny Nastor: I hope not, because I realized that at like episode 303. Jerod Morris: That’s what I mean. Sometimes you can come to these things organically. Like the way that I explained it with The Assembly Call, I didn’t decide that from before the show started. We were like, “Let’s do a post-game show,” and this is how it happened. We realized, “Oh. This is a nice little niche that we can fill.” It all happened together, but it worked and it felt good. I think what it does is it gives you some piece of mind when you step behind the microphone. Instead of always being at the whim of how you’re feeling, you can step into being the person that you are behind the microphone, in a sense. When that is 110 percent you, it’s great. I think you want it to be the person that you aspire to, because you get enthusiastic to step behind the microphone. If my role was, “I’m going to be Mr. Negative and I’ve gotta find the bad thing to talk about after every game,” that would kill me. Jerod Morris: But that would kill me because it’s not me. Could I play that role for a couple episodes? Probably. And there are probably some people that would like it, but it’s not me. That’s why we have Ryan, who does Ryan’s Rant. His thing is to find something to rant on, and it fits. Some people identify with me. Some people identify with him. That’s all part of the show. Is it a character? Yes. But I love the way you said that — it’s 110 percent us. It takes “us” and you simplify it for yourself and you simplify it for the audience. I think that’s what helps to make it a more remarkable audio experience, because you’re better and more comfortable and more self-assured behind the microphone. When you are like that, your audience is going to have a better experience when they’re listening to you. Jonny Nastor: Yes. I have, I want to say, a better answer, but that’s me judging it myself, which probably isn’t good. I have a different answer to, “Do you have to know this when you start?” Here’s the thing, I think if you are 50 episodes into your show, 100 episodes into your show, two years into your show — whatever it happens to be — and you are not making the connection to your audience that you imagined or that you want, or you’re upset with how far you’ve gotten, I think you really need to look at this. There’s something missing and you’re not making that connection to your audience, in a way, because you have not fulfilled this character need that your audience does need from you. Now is the time to become aware of it, to find that character and then elevate your persona and your performance each time you start stepping behind the microphone. The reason why Hack the Entrepreneur was successful with building an audience around it, was because I know how to market stuff, so I knew that I had to put certain aspects into it. It’s not that I think that any of you out there care about punk rock or the fact I’m playing drums in a punk rock band. It’s just that it’s something personal to you, and people can see behind the curtain, and that does endear people to me. For the most part, me talking about going to a psychotherapist into a microphone and publishing it out to thousands of people isn’t a good thing, but it does help people, because all of us are human and we all have these struggles. It’s not that your character has to be perfect; it’s the idea of knowing that it’s a character that can allow you to elevate it and become that person that you need to become — for your audience, but also for you, as the host. To find that energy to showrun when you have the time to showrun. I think that we should probably talk about our sponsor again quickly, but then we are going to go into how you go about creating that showrunning character. Jerod Morris: Do we want to talk about the sponsor again? I don’t have any more ad copy for the sponsor? Jerod Morris: What I will say, is StudioPress Sites is fantastic. Obviously I’ve had a lot of conversations with the development team. This was developed by our team here at Rainmaker Digital, and it’s great. It could be an alternative to the Rainmaker Platform for some of you who have heard us talk about the Rainmaker Platform but maybe you don’t need everything that Rainmaker delivers. Or maybe you’re looking for a turnkey website solution at a lower price point, that’s what you will find with StudioPress Sites. In fact, we’re getting ready to spin off one of our shows at The Assembly Call. We have a show called Bracketology.FM, we’re going to spin that off in the off-season, and I will probably put that on StudioPress Sites. On StudioPress Sites, you can put different third-party plug-ins on there. Have a membership site and have a course and all that — that flexibility is there. But, for instance, this show doesn’t necessarily need that, so it can go with a much more simplified version. That, in part, is what StudioPress Sites gives. So, go to the website and check it out for yourself. It’s Rainmaker.FM/StudioPress. Again, that’s Rainmaker.FM/StudioPress. I want to make sure that we give the audience listening right now some things that they can take away. We’ve talked about this character and we’ve explained some of our inner characters on our shows. How can showrunners listening to this create their own characters? Are there some steps or bullet points that we can give to the listeners? Jonny Nastor: For sure. I think that we should notify the people at Rainmaker.FM that they should not give you copy for mid-roll ads anymore ,because your off-the-cuff testimonials are phenomenal. Jerod Morris: This is the benefit of hosting six seasons of live shows. You get used to being put on the spot. Jonny Nastor: So, creating your inner character. As we said, your inner character is just an extension of yourself, but I’ve broken it down into three parts that create this character: elements, identity, and then storylines. Elements of your showrunning character are going to be backstory. It can be based on the backstory of where you come from, the backstory of Jerod going to the University of Indiana, I’m assuming? Jerod Morris: Indiana University, thank you very much. Jerod Morris: By the way, people in Indiana will get very upset if you ever make that mistake. Jerod Morris: It’s a thing. Jonny Nastor: That’s why I said it with a question mark at the end. I was like, “Is that how it’s said or not?” Without that backstory, you wouldn’t be able to host the show that you do. That’s always what we’re trying to get across with that show, and that’s where that backstory can be such a great thing to fall back on. It is something that you want to slip out. You want your audience to know some of that. That way, when you are enthusiastic about your topic, people aren’t wondering, “All right, is he just doing this because he wants sponsors to be on here and he’s trying to convince me to take his call-to-action, or does he love this topic?” The backstory helps make that make sense and brings the story full-circle. It makes you a three-dimensional host, person, and showrunner for your audience. Jonny Nastor: Exactly. I should say, you don’t need to do all of these. You should choose one from the element, one identity, and storyline to start with. The next part of the element would be character flaws. Where does character flaws come into play here? Podcasting lessons from a psychotherapist. 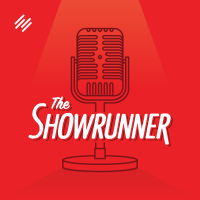 It’s probably a great way to talk about character flaws, any fears or doubts — or shortcomings, even — as showrunners that Jerod or I have talked about on this show. We’re not making these up. We are consciously bringing them to the forefront to explore, to help endear you to us, and to roll a lesson into it. One thing is because I think people are endeared to these character flaws. Then the second part is because I think we learn better when it’s tied to a direct, real storyline, rather than just an arbitrary black and white, “Here’s the lesson.” So character flaws are the second element you can choose. Jerod Morris: And because it’s essential to our ability to relate and to teach that everyone listening to this knows that we have been where you are. Whether you are just thinking about starting, whether you’ve just started, whether you’ve had a show for three years — we’ve literally gone through all of those things. It’s important to understand the flaws, especially for something like this. We’ve been doing it for a while. If people think, “They’ve got it all figured out and it was probably an easy path for them,” then what we are telling you to do or suggesting that you can do might not seem so achievable. But when you hear about how I couldn’t listen to my own voice for the first year that I did a show at Midwest Sports Fans, or how I’ve got four or five shows that I do right now, but there’s this graveyard of like 10 other shows that I started on a whim and never followed through on — these are the things that showrunners face. That’s why we want to put those things in there. It’s important not to put them in there gratuitously or make too big a deal of them, but we want you to know that when you are listening to this, we will tell you successes, but if there’s a failure to tell, we’re going to tell that too. We’re not hiding anything. That builds authenticity. Even though we are, in a sense, playing a character on this show, it’s 110 percent us and you know you’re going to get the full story. It’s not like we’re hiding things that we’re not going to tell you. Jonny Nastor: It also shows this whole idea of the character … When we talk about the failures or the successes, Jerod, what I was having trouble with was I was tying those successes or failures — whether it’s downloads or monetization or growth of the show in general — I was tying those personally to me, not the showrunner running the show. Which, I think, is a huge thing. Jerod Morris: Put the blame on Jonny Microphone. John Lee Dumas — he comes from my market, the entrepreneur space — there are people that just hate that guy, yet there are millions of people that absolutely love that guy. That’s where you want to lie. This goes back to my whole punk rock drumming thing. There are people that love that aspect of me, even if they aren’t into punk rock, and there are some people that think that’s ridiculous that I would even mention that. Awesome. Don’t listen to my show. You’re not the right person for me. Not trying to make everyone happy. This is your audience of one. Knowing who they are and polarizing so that everybody else around them is not into your show. Jerod Morris: We’re a show about podcasting. We’ve been very up front about with the fact that we’re not going to dive into microphones and talking a whole lot about setup. We’re talking about some of the other elements of showrunning, and that is a polarity that we’re very up front about. You know what’s interesting about that — we’ve done this a lot with The Assembly Call. If you want to dive down into the sewer and be negative about everything — you’re going to call the coach a clown and you’re going to say negative things about the players — we’re not for you. Go over here. And if all you want to do in the middle of the season is have a referendum on the coach after every game, we’re not going to do that on the show. This polarity, it can’t just be something that you think about. Not all the time, but at times, it has to be expressed in a pretty explicit way so your audience has that opportunity to say, “Yes. I’m with them.” Or if they say “Yes. I’m not with you,” fine. Those people leave. More often or not, if you’re attracting the right audience, they’re going to say, “Yes. I’m with you,” and you keep pulling them in closer and pulling them in closer. That can be a scary thing, because when you do that you do risk some rejection, but it’s actually the kind of rejection that you want as a showrunner. On the flip side of it, you get embraced more by the people you want to be embraced by. Jonny Nastor: Now we go to choosing your own identity. Not your adventure. Choose your identity. I’ve got four identities that are the clearest identities that there are for each of us to choose our persona or character behind, but you could obviously meld two of them if you want to get really confusing. These four character identities are the leader, the adventurer, the reporter, and the reluctant hero. The leader is the expert. I know this is going to help a lot of people who struggle with when you’re about to start a show — sometimes questioning ourselves being the expert. “I don’t feel like I’m the expert. I don’t know the most of anybody in my market space,” which is cool. If that’s what you think and there’s a reluctance there, then you don’t need to be the leader. Not everybody has to be the leader. But if you are the expert and you are confidently that person, the leader will be your identity that will allow you to elevate to that 110 percent. The next is the adventurer. I think Jerod and I fit into this for The Showrunner. The adventurer I see as the person who, or the two of us … We’re out there trying stuff in this space of showrunning, actively running shows outside of this show and bringing you back what we find, which allows us to not have to be the greatest podcasters in the world or the absolute experts. But we are constantly out there on the forefront, trying things constantly and bringing back to you what we learn — the flaws, the good parts, the wins, the losses. All that stuff. Because we started it quite soon. I hadn’t even been podcasting for that long … Well, I had a bunch of failed shows, but my show had only been a success for about six months. It allowed us to take that persona. It would be hard, I think, for us to be the experts necessarily and also admit that we don’t know a lot about the tech side of it, the microphones. But we are on this adventure as showrunners bringing you back everything we can possibly find. Then, of course, like all the identities, you’re leading through that. The next one is the reporter. This is what I do in Hack the Entrepreneur, which is me interviewing experts. I’m literally bringing them to my audience. Then, luckily, through osmosis or whatever, being in front of my audience, sitting down with over 300 brilliant entrepreneurs from all over the world, seeing me side-by-side and hearing me side-by-side with all those people long enough brings you into the expertise or the person that they want to know because you, now, are up on that same pedestal. This is done through the reporting or through the interviewer, if you wish. This is the identity that I took without knowing it, necessarily, with Hack the Entrepreneur. I didn’t want to do a show that was just me talking about what to do with business. It was me bringing other people there and then realizing that that could turn into an audience for myself based on reporting that knowledge to people. The last one? Jerod Morris: Yeah. The last one. Jonny Nastor: The last one is the reluctant hero. I think we’ve heard about this sort of story. This is the basis of so many popular movies. This is almost the exact opposite of the leader. That’s the confident expert, the person who wants to lead everything. The reluctant hero is the person who — you’re almost forced into it because you’ve discovered something or you’ve learned how to do something. You’ve learned how to play drums so well in some way and make a living from it that it’s almost forced on you that you need start a podcast about it and share it with an audience. Jerod Morris: Kind of like Alex Blumberg on the first season of Startup. Jerod Morris: Quite the opposite. Jonny Nastor: Exactly. He was very much the reluctant hero. But it endears an audience to you. I’m sure that in there you can find yourself — where you’re closest and where you can find your character. It’s the leader, the adventurer, the reporter, or the reluctant hero. I do not know of a successful showrunner that does not follow one of those identities. Jerod Morris: All right. So call-to-action. If you’re listening to this right now, Tweet us @jerodmorris, @jonnaster. Let us know, are you the leader, the adventurer, the reporter, or the reluctant hero for your show? Jonny, I agree with you. I think that we are adventurers for The Showrunner. I think you are the reporter for Hack the Entrepreneur. I think in the work that I was doing on the Digital Entrepreneur, which was a similar interview show to Hack the Entrepreneur, I was the reporter. I actually look at it as not just us leading via expertise, but also leading by attitude, because I always want to give people — you want to feel good about being an IU fan by the end of the show. You don’t want to be as beaten down. If it’s a bad loss, you want to feel a little bit better. Maybe if it was a great win, maybe we want to add a little bit of realism to it, but we want to lead you to being a better and more enthusiastic IU fan. On the other show that I do, Podcast on the Brink, I’m very much a reporter. On that show, I’ve got the guy that runs another popular Indiana site as my co-host, and then we often bring in interviews. So I very consciously choose my role of standing back. Not really giving my opinion a ton, but asking Alex for his since it’s his only podcast forum to give his opinion. And then focusing on our guests, because if we’re having a guest on, then we’re very curious about their expertise. If people want my expertise, I know that they can go to The Assembly Call, they can listen to our radio show. I let them know where to get that. But I take a very different role and a very different identity. Even if you listen to those two shows, you can tell my enthusiasm and even probably my energy is a little bit higher on The Assembly Call. It’s much more subdued on Podcast on the Brink because it is much more that reporter mentality. You can make that change and play a little bit of a different character. It’s still you, but it’s stepping into a little bit of a different role. It’s still authentic, there’s no question about it. But I think it’s also about how can you have the greatest combination of authenticity and usefulness. Both of them are important. So as long as you’re not compromising your authenticity by stepping into another character — and only you will know that … Well, your audience will know it, too, and they’ll call you on it if you do it. As long as you do that, then you’re going to make your show better and make a better experience for your audience. Jonny Nastor: I had it set up as elements, identity, and storylines. Now, as you just beautifully summarized that, I realize we don’t need storylines right now. Storylines are ways to bring out the backstory, the character flaws, and/or the polarity of your identity that you’ve chosen. I think that goes beyond where we need to go at this point. It’s really finding that identity, choosing one of your four, and then choosing which element or elements you want to use to create and enhance that identity and bring it forth in your showrunning. Jerod Morris: I agree with you. To recap. You have homework, dear listener. Number one, we want you tell us if you like the one-on-one interviews. Like, if I’m doing an interview and Jonny steps aside, or if he does an interview in the future, should I step aside? Or would you prefer us to do them as two-on-one interviews? What do you think works best for us? What do you think works better, in general? We’d love to hear your thoughts on that. We also definitely want to hear which identity you think you have for your show and if you think that’s the right identity. Going through this process may lead you to an epiphany of, “Crap. I’ve been playing this role almost unbeknownst to me, but I really think I should be playing this one.” We want to know, what is your identity? And we want to know if you think that’s the right one or if you’re thinking about pivoting that a little bit. If you can only answer one of those questions, answer the identity one, but we would love for you to answer both of them. You can answer both on Twitter @jerodmorris and @jonnastor. Finally, think about this question: “What could happen if you launch a podcast in the next 30 days?” Or, if you have launched a podcast, what could happen if you commit to improving your podcast in the next 30 days? We want to help you answer that question, and we have a guide: The Beginner’s Guide to Launching a Remarkable Podcast. It’s a simple, no frill, nine-step plan to get your podcast off the ground. Even if you already have a podcast, there are nuggets in there that can help you. Plus, when you sign up and get this Beginner’s Guide to Launching a Remarkable Podcast, you actually get an email series that Jonny outlined and I helped put together that will give you a lot of useful information, no matter what stage of being a showrunner you’re at. The way that you get that is go to Showrunner.FM/Report. All you need to do is provide your email address, that’ll get you going. You’ll get the guide, you’ll get the email sequence, and you will be well on your way to a better next 30 days. And that’s all that matters. What happened the previous 30 days? Not important. All that matters now is what happens the next 30 days, and we want to help you make the next 30 days as good, as great as they can possibly be. Jonny Nastor: It’s hard now. I need to judge whether you’re better at off-the-cuff or if you’re better with an outline. It’s tough. You’re really good at both. Jerod Morris: I like having an outline. An outline helps. Jonny Nastor: Well, this has been fun. It’s always fun to expose my inner … It’s always good to bear my soul to you, dear listener. I hope you enjoyed it. It’s been fun. Jerod Morris: Absolutely. We’ll talk to you next week.